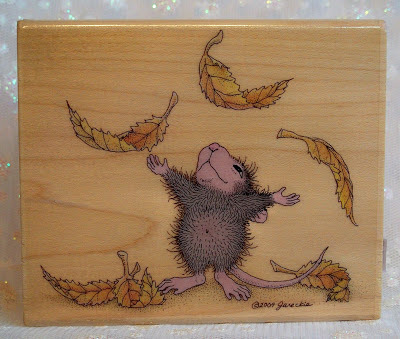 Just a reminder that the House Mouse and Friends Monday Challenge #147 - Anything Goes Plus Use a Charm is at the Mid-way Point. You have until midnight on June 29th EST to join the fun. of your beautiful care packages and was waiting for this card. 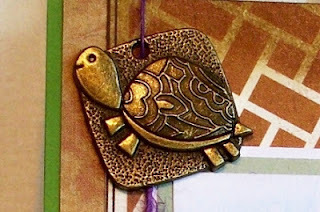 o what a gorgeous card and charm Sue. 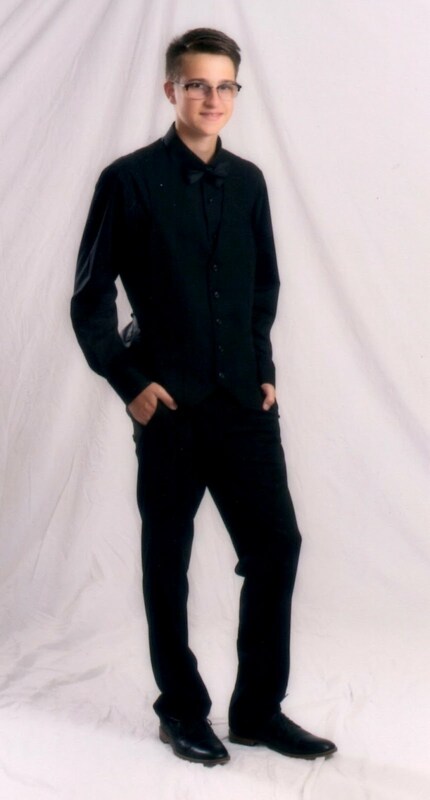 Sue, I LOVE this one. The colors of those flowers just go so good with the colors in your image. That charm is ideal and i really have to get that SB die piece. You've received a 10+ from me again. Aaah, that card and charm are just soo beautiful. Good luck in the Challenge. 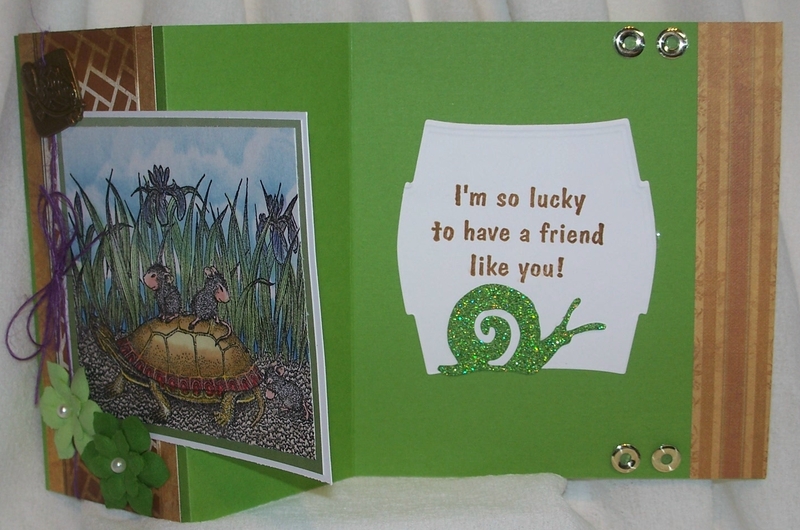 ooooo...Sue, you made a amazing card with that awesome image!! so great colouring. beautiful done!! 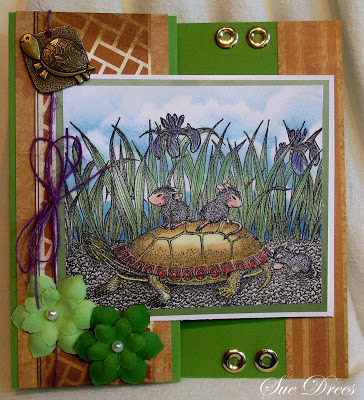 I have yesterday and today colour my house mouse stampimage but know I try to make a card with it. I think at the of the week.......I will see. Oh wow, this is a marvellous creation, love your design and the fabulous charm. There is nothing about this card that I don't love. wow! Aww, you know you got me with the turtle don't you? This one is just too dern cute. I have never seen that image and it is wonderful - especially with that totally cool and very special charm you have used. Wonderfully done of course! Hugz! 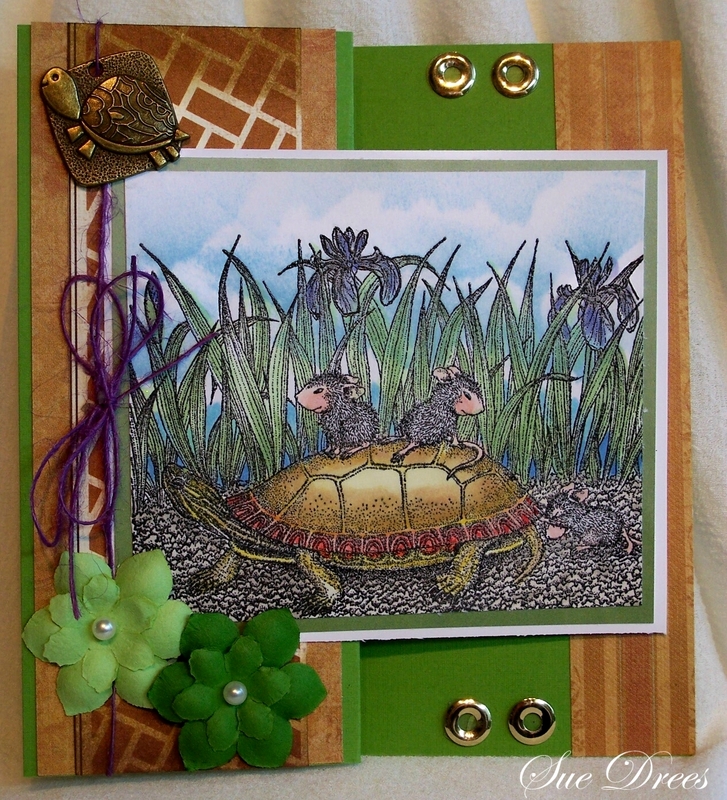 I've always loved this image of the mice riding on the turtle's back, and you've brought it to life with those pretty flowers and colors! I love all the metal with the eyelets and charm! So cute!